While it can be tempting to go for chips or candy to snack on, try choosing options that are both fun and healthy. 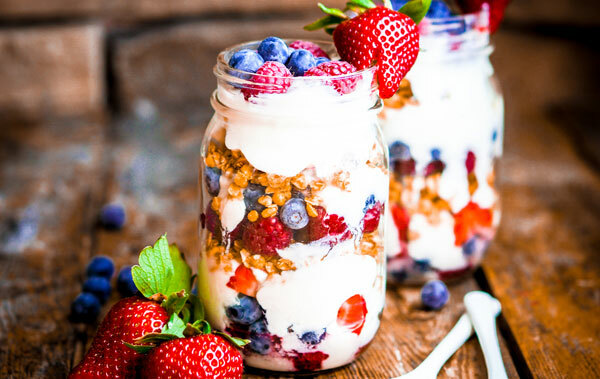 The patriotic parfait pictured is made with plain Greek yogurt which is a dental super food. And the berries provide just the right amount of sweetness to tame the celebration sweet tooth. Getting kids involved in making these treats is a sure-fire way to get them excited about eating healthy and can be a great activity to keep little hands busy. Check out our other healthy holiday snack ideas on our Pinterest page and follow us, too!